Graying the edges of an ethical decision wont put most of us on the front page of every major newspaper, but it can create an unintentional pattern or consequence. 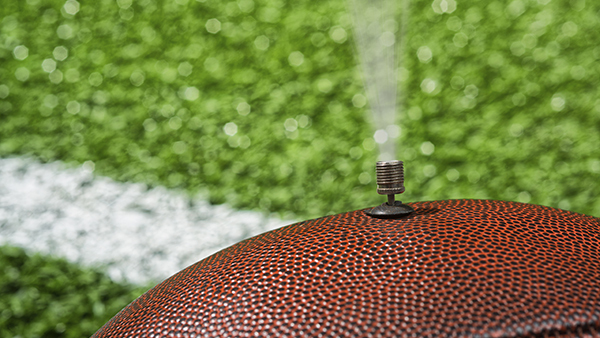 We are months away from the start of football season and yet, everyone is already talking football—or specifically, deflated footballs. Love, hate or have total ambivalence about the team and individuals involved in the New England Patriots scandal, but we can’t help being intrigued by the varying discussions on what degree of ethical lapse the infraction incurred. Akin to state and federal regulators, the NFL has reams of guidelines, rules and codes that direct teams on how to conduct their operations, down to the minutiae of the acceptable PSI of a game day football. Some are saying that deflating a football is at the level of tar on a baseball bat or stickum on a wide receiver’s gloves. Websites devoted to the ethics of sports have suggested that DeflateGate (and really, is anyone else weary of anything tagged with “-gate”?) is actually more of a ‘misdemeanor’. The loss of two draft picks, a four-game-suspension and $1 million fine is a misdemeanor penalty? Yikes. Should there really be levels of ethical behavior? Don’t you either conduct yourself in an ethical manner…or you don’t? Just like some will argue that a white lie, an omission of facts and a bold-faced lie are all technically one in the same, others will say that they represent varying degrees of intent and consequence. You attend a sporting event courtesy of a large mutual fund that you regularly recommend to clients. You don’t disclose this conflict of interest to clients because you don’t see this as a “real” ethical dilemma. You’re certainly not swindling your clients or taking kickbacks. But at what point are you allowed to objectively make these decisions? One could lobby that a client isn’t that interested in the source of your social activities, as long as you interact professionally and appropriately. Compliance officers are your firm’s referees. They assess risk and stay current on the latest rules and regulations. Each day, they must make judgment calls and review behavior. Additionally, you have taken hours of ethics training over the years, which help you police yourself and others. So this should make ethical decision making a snap. Here’s where we tread into the area that will likely agitate anti-Patriots readers. It’s not clear whether Tom Brady really thought too closely that a few pounds of air were going to trigger a multi-month investigation and likely tarnish his legacy. This sixth-round draft pick has already proven his abilities and is on his way to being a first-ballot hall of famer. Why take the chance? Arrogance? Or, more likely, a belief that there is a bending of the rules across the board and this was relatively minor. No one would truly think that this atmospheric adjustment would greatly affect the game’s outcome. Graying the edges of an ethical decision won’t put most of us on the front page of every major newspaper, but it can create an unintentional pattern or consequence. Your daily business is not a game but there are clear, ethical stakes at risk at every turn. Play wisely.